Macneil Group has been building projects for the Country Fire Authority (CFA) since 2010. Tendering in a competitive situation, Macneil Group has been awarded projects to the north and west of the state from Geelong to Mildura. 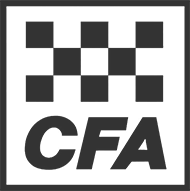 Delivering on time and on budget for these projects is pivotal for the CFA. Our committed sub-contractors and suppliers are key to achieving quality outcomes in remote areas. Macneil Group is certified with the State Government to deliver these and other projects into the future.